Skills and Abilities: Military training. Powers: She had an unspecified ability to sense what had happened in someone’s past. Fortune also had the power to cause bullets to miss her and short out grenades. 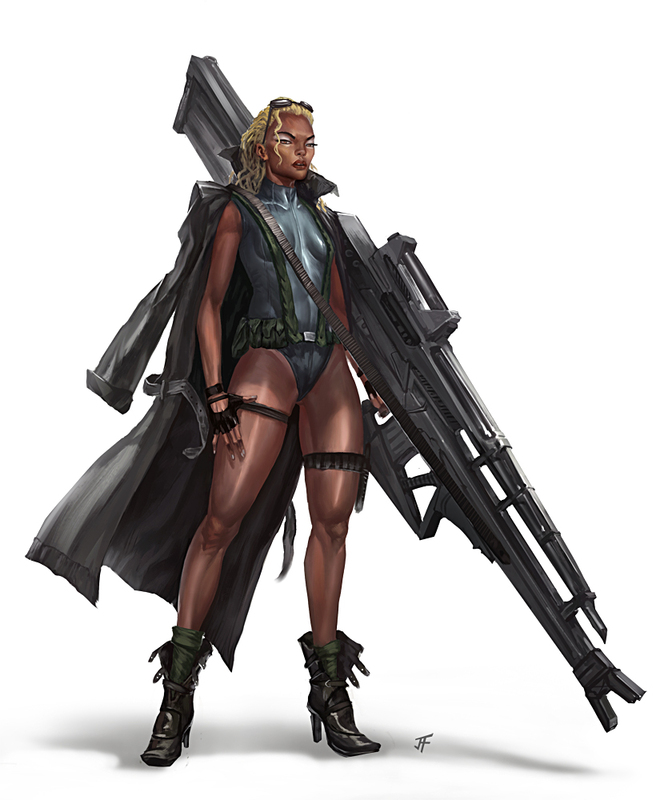 Equipment: She had an electromagnetic device which she used to enhance her powers an carried around a man portable rail gun which she could wield because of her powers. Fortune/lady Luck/Queen was born Helena Dolph Jackson and was a member of the navy SEAL’S special division Dead Cell. Her codename came from her supernatural ability to turn gunfire and bombs against the user. Fortune has often claimed that her luck on the battle field has come at the expense of tragedy in her personal life.